The Magical Product Swap Numero Dos! Thanks Becca Foxwell for the adorable button! 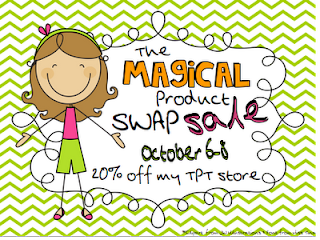 I love the product swap, such a great way to find out about amazing products! Thanks! Thanks so much for hosting the product swap! I'd love to win your sight word packet. Thanks for all of your hard work in organizing this! Thanks for hosting another product swap. I can't wait to read the reviews from the other posts. If I could pick out items from your store, I would love to pick up some of your dolch & sight word packs. Love the product swap! I signed up for the next one!!! Thank you Jessica for the product swap! This was so fun! I love your Monkey Madness pack! Thanks so much for all your hard work, I can't wait for the next one! I would love to win your sight word packs! It's so much fun being in the company of such a genius like you! Thanks, so much! The Magical Product Swap is always so much fun! Love your Complete Dolch Sght Word Packet. I could use this with with the wide range of students I have in AIS. LOVE, LOVE, LOVE our Product Swaps!!! Thank you so much for organizing it and making it so easy for all of us to participate!!! I would love to have the Dolch Sight Word Packet also. Thanks so much for getting this together. I appreciate all your hard work! I enjoyed being a part of this and got an amazing product from Mrs. Foxwell. This product swap looks like so much fun. I will have to be sure to join the next one!. I love all of your products! But I've had my eye on your behavior chart! You Rock! I'm loving this swap even more than the first one! So far every post I've read has been great. Can't wait for the next one. Thank you for hosting and for all of the time you put into it! Love the product swap! Thanks again!! I have already signed up for the next one!! I would love to have your Predictable Sentence Journal. It looks wonderful! I'd love to win the rainbow classroom decor set! Thanks for hosting such a great product swap - I'm loving reading about all the different resources available out there and seeing them in use! If I could win one thing from your store it would be the Monkey Trace, Stamp and Write pack. Thanks for hosting the product swap. I'm sure it took a lot of time to organize but it was SUPER fun!! Thank you so much hosting the Product Swap!!! I love them both but I REALLY need those visual cards!!!!!!! Can I just tell you how much I admire all your videos and tech tutorials. This one in particular with the students talking is ADORABLE!! Can't wait to sign up for the next swap! Thank you so much for hosting this again. 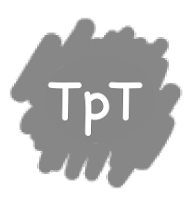 It is such a practical (and fun) way to see what other teachers are offering in their TPT stores. I am looking forward to the next one. I would love your ABC stamp packet. I have something similar for my words, but would love the letters for my kinders. Pre-primer sight word pack is neat too! Thank you SO much for all of the work that you did to put together this SWAP! 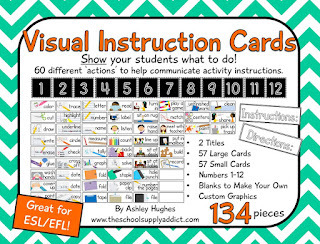 What a great way to share and get connected with other teachers! I'm looking forward to the next one! I'd love to have your sight word packet! Your ABC stamp packet looks amazing too! I would love your sight word packet. I love your blog! I would love to win your sight word packs. I am loving the Monkey Madness uppercase letters, Monkey Madness numbers, Monkey Madness lowercase letters, Playdough cards for letters and numbers, and the voice control chart. Thanks so much! I love the sight word and the monkey madness products you have made. These would all be great practice for my kiddos! I cannot pick just one! Being new to kindergarten, anything dealing with ABCs or 123s or sight words is great! Thanks for all you do!! I would love to win your Monkey Madness Trace Stamp Write (lowercase) and Sight Word Race. I love all your products, Thanks for them all!! I just love your video reviews! Hope you keep doing them!! Thanks for hosting and providing this product swap. It's great to read the reviews and see other's blogs, etc. I love all your products! I'm a first year teacher, teaching 1st grade! I would love the Predictable Sentence Journal! Amazing products and blog, your kids must love you! Thanks for being such a dedicated educator. I would love the sight word pack for second grade! I would love to have the Complete Dolch Sight Word Packet - 220 Dolch Sight Words. I would love any and all of your sight word packets! Thanks for all of your hard work! You have so many amazing products that I would love to have, but the one I would choose first is the Predictable Sentences. Love the Dolch Sigh Word games pre-primer through 3rd. Love to win the dolch sight words games. I'm not picky! I would love to have any of your products! I would love your sight word games or your calendar planner! Sight Word Games! Thanks for the giveaway. 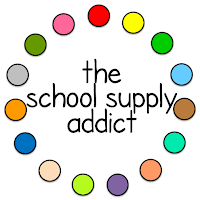 The things from your TPT store that are on my wish list are: Classroom Management System - Clothespin Behavior Chart, Voice Level, & Rewards, Sight Word Mastery Bundle: Sight Word Kit for an Entire Year, and Editable Classroom Decor Set - Rainbow. It would be AWESOME if I could win one of them! I would love the sight word race! I would love your sight word pack! I love your sight word mastery bundle and your clothespin voice level chart. As a first year teacher the voice level is something I am really struggling to balance -- how loud can it be with students able to focus but others working in groups? Yikes! I would love the Complete Dolch Sight Word Packet - 220 Dolch Sight Words and the Playdough Cards for Letters and Numbers. To be honest I'd love one of everything in your store! All of them!!!! 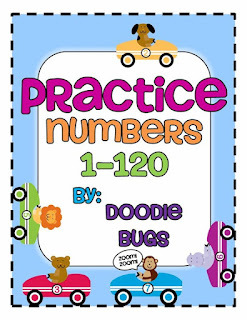 However of those two I would like: Numbers Unit: Learning and Practicing 1-120. I'd love to have your complete sight word packet or your ABC stamp packet , or... it all looks amazing! Thanks so much! The Sight Word Race looks amazing. I like how it gets home involved.